Some countries celebrate World Kidney Day with a real nationwide campaign. Many events are organized in different cities and typically one designated city holds the main celebrations. The bigger celebration consist of a multi-activity event that is offered to the public with the aim of attracting many participants and raising awareness. Dr. Anita Manocha tells about the WKD celebrations that took place in Penang, Malaysia, in occasion for World Kidney Day 2015. 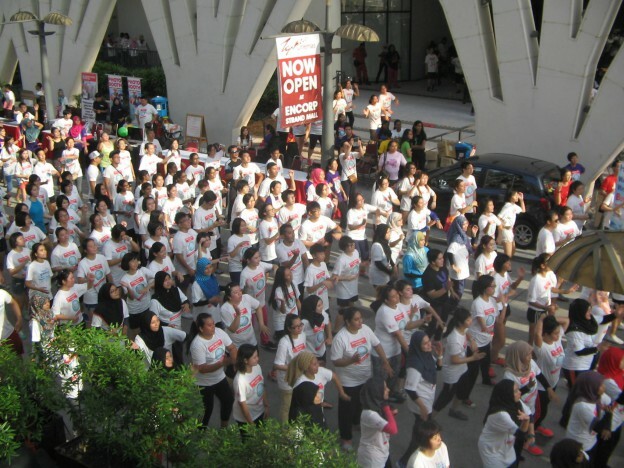 In 2015, national celebrations for World Kidney Day took place in Penang with the Ministry of Health, the Malaysian Society of Nephrology and the National Kidney Foundation of Malaysia working together to organize a multi-activity event culminating into a walk through the city and a selfie competition. The route took walkers round some of the city’s heritage buildings. A photo contest was also organized to promote kidney health. Participants were encouraged to take photos and share them on social media. A health exhibition to inform the public about kidneys and kidney disease was in display and a free screening for kidney disease was set up on a two fully equipped mobile buses. “The event was attended by people from all walks of life,” says Dr. Anita Manocha, council member of the Malaysian Society of Nephrology. The National Kidney Foundation of Malaysia helped gather the necessary material in English, Bahasa Malaysia, Chinese and Tamil. Gaining sponsorship is the most challenging. Most times the sponsors are approached individually by committee members. A sponsor letter is also sent out to the various pharmaceutical firms that are involved in the care of renal patients. Some large companies commit themselves to this event as part of their corporate responsibility to the public. Promoting such a big event is also very challenging. We put banners and streamers up in the town area and in strategic spots. We created a Facebook page to advertise the event online to the younger generations. Registration kiosks were set up in various hospitals to make registration easy and accessible. We used colorful flyers and distributed them by mail in the most residential areas and to local sport clubs. In the end all the work was more than worth it. “It was nice to see the venue bustling with activity from the beginning to the very end. It was like a small village, everyone doing and talking kidneys”.